This shell cameo brooch was carved in Rome in 1827 by Paolo Neri. 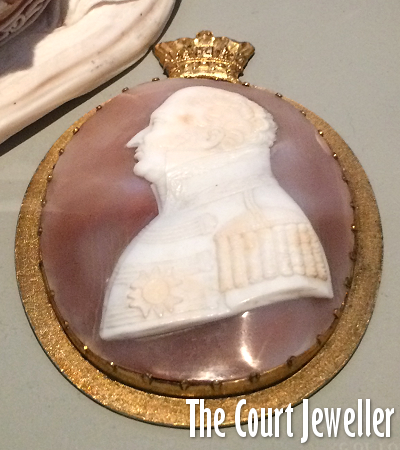 The cameo is believed to depict Prince Frederick, Duke of York and Albany. Frederick was the second son of George III and, from 1820 until his death in 1827, heir presumptive to the British throne. If the cameo does depict Frederick, it may have been carved as a memento after his death. 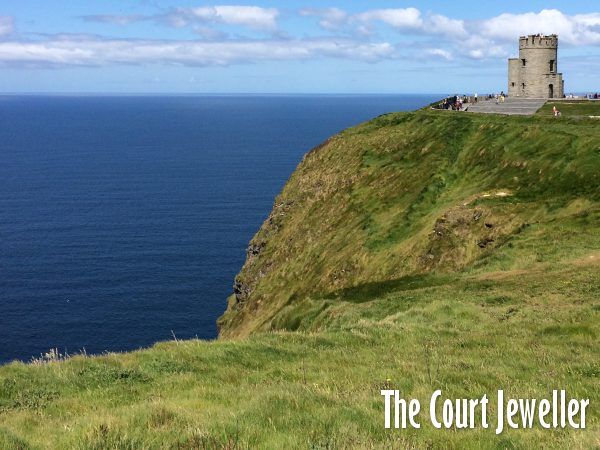 The Claddagh ring is a traditional Irish piece of jewelry that is packed with symbolism. The heart represents love, the crown represents loyalty, and the hands represent friendship. The rings were apparently originally produced in the 17th century in Claddagh, a town in Galway. 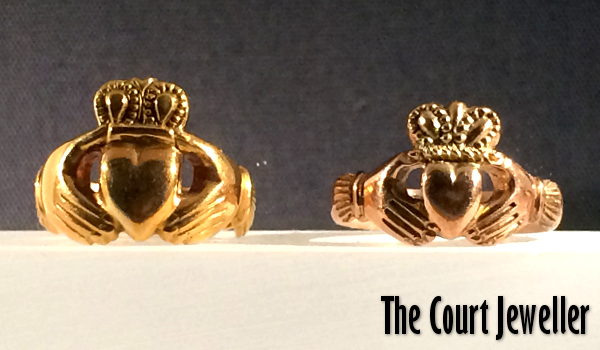 This pair of golden Claddagh rings was made in Waterford by Thomas Dillon in 1846. Sometimes the rings are used as wedding rings (as these likely were), but they're also often passed down from mother to daughter. Fittingly, my mom bought me a silver Claddagh ring at a market outside Dublin as a souvenir of the trip -- I think pieces of jewelry are the best way to remember a trip! The way you wear the Claddagh ring is also symbolic; since I'm in a relationship but not married, I wear mine on my right hand with the point of the heart facing toward my wrist. This early nineteenth-century hair comb was one of my favorite pieces in the entire collection -- it definitely looks fit for a princess, and it would sparkle like mad in a candlelit ballroom! The comb features purple amethysts combined with paste stones. The metal features a finish called ormolu, which was achieved by applying an amalgam of gold and mercury to a bronze base and heating it in a kiln. You'll sometimes see the final product called "gilt bronze." 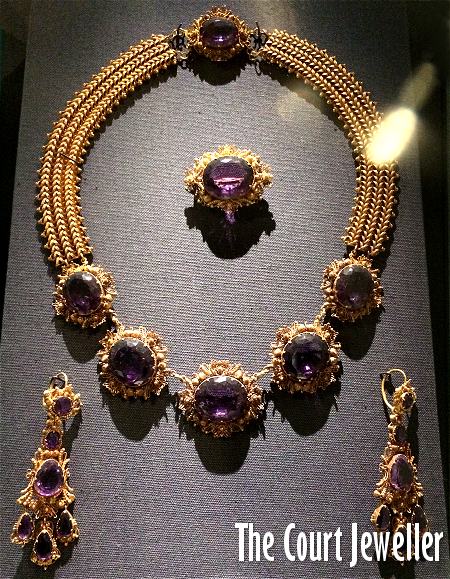 The necklace, brooch, and earrings from this amethyst and gold demi-parure weren't displayed alongside the hair comb, but I'd definitely wear them as a married parure! 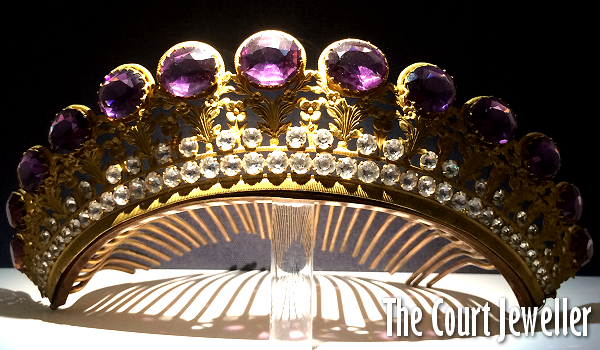 This set was produced sometime between 1820 and 1830, and the amethysts are set in two kinds of gold work: filagree and cannetille. In August 1849, Queen Victoria made her very first visit to Ireland, even amid the lingering trauma of the Famine. (Pretty questionable political timing, if you ask me, but ultimately the visit apparently went well.) 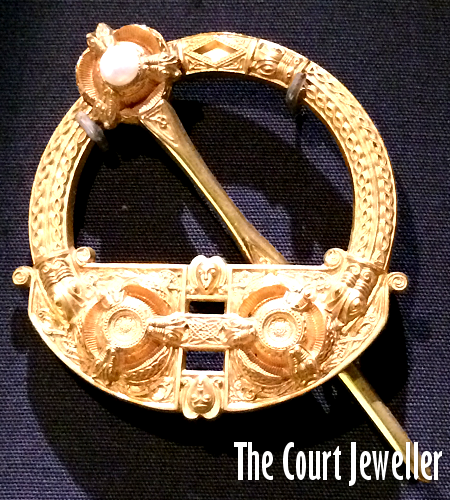 To mark her visit, the administration at Trinity College commissioned a copy of the Cavan brooch, made around 800 AD and rediscovered in the nineteenth century in Lough Ramor in County Cavan. The piece is an example of a pennanular brooch, worn by both men and women to secure the fabric of their garments; here's an image that shows how they're worn with fabric. 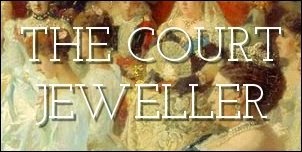 Victoria's brooch was made by Edmond Johnson for West and Son in Dublin, using Wicklow gold and a pearl sourced from Lough Eske in Donegal. 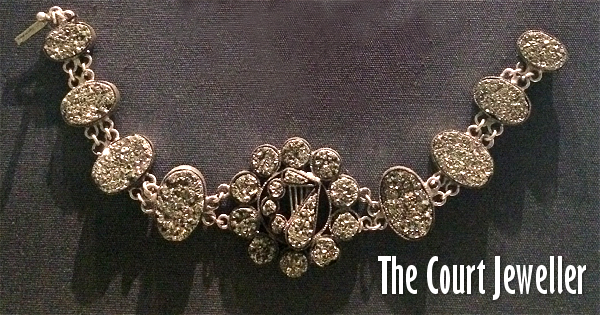 After Victoria's death in 1901, the brooch was given to the museum by her son, the Duke of Connaught. Wood buried for centuries or even millenia in peat bogs is known as "bog wood" or "bog oak," and in the ninteenth century, it was a fashionable material for jewelry. This carved bog oak bracelet features two important Irish symbols: the shamrock and the Celtic harp. 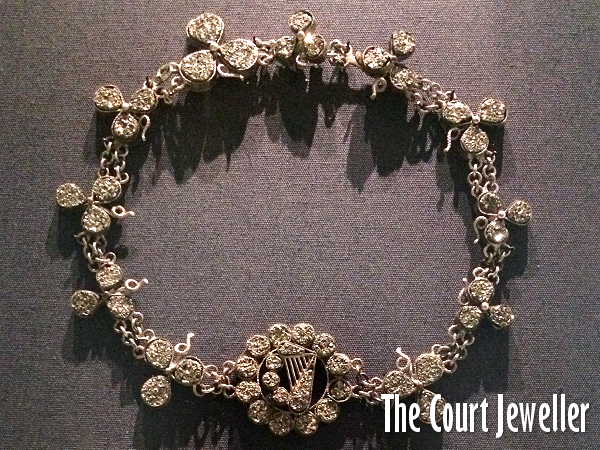 Dating to around 1860, this necklace of shamrocks with a central Celtic harp is made of "Irish diamonds" -- another name for pyrite (which is also sometimes called "fool's gold"). The "diamonds" here may not be genuine, but you would not believe the way they sparkled under the display lights! I'd wear Irish diamonds any day of the week. 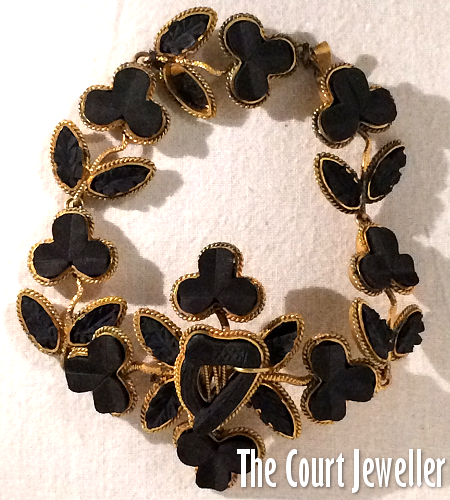 And even better, there's a matching bracelet! Irish diamonds for everybody! 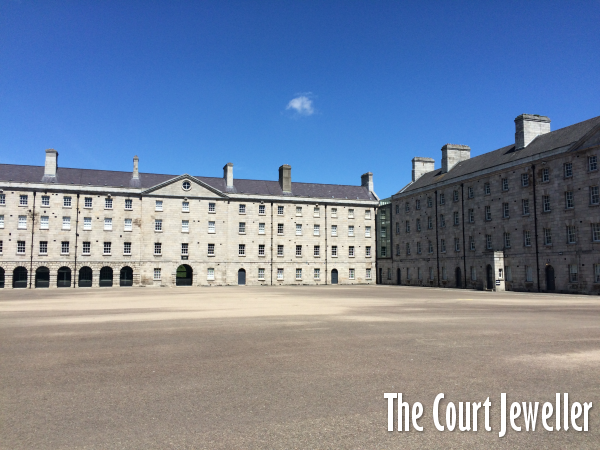 Have you been to the museum at Collins Barracks? What were your favorite pieces?